Every franchisor knows how crucial it is to maintain a consistent marketing presence, and the key to this is finding a reliable partner to work with, who makes every effort to understand your business. 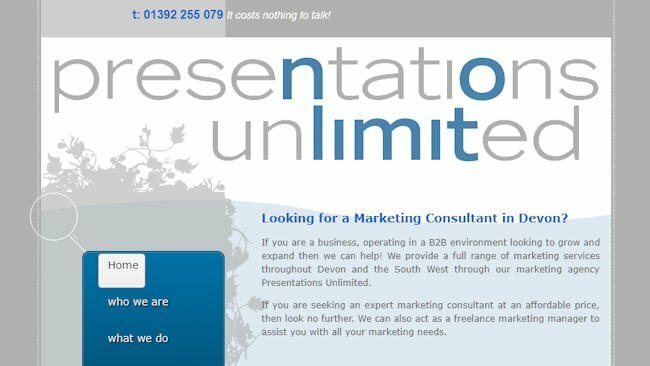 Since launching in 1989, Presentations Unlimited have provided marketing consultancy, direct marketing, telemarketing, online marketing and advertising services to their clients, who are primarily in the business-to-business sector. They also offer a range of marketing support and fulfilment services and can manage and fulfil entire campaigns, from conception to completion, while maintaining a professional, yet personalised, service. Presentations Unlimited is based in Devon and offers a flexible service that caters to your business’s specific needs, particularly if you have a small or medium business with a limited marketing budget. They can even agree a monthly package with you, whereby they will act in the same way as a direct employee and carry out all of the tasks you’d expect from a marketing manager, which is perfect if your business requires ad-hoc marketing management services. … then do contact Peter Phipps at Presentations Unlimited on 01392 255079 for an informal chat. You can also click here to ping me an email and I’ll forward your enquiry.